A special live-music double dance event! 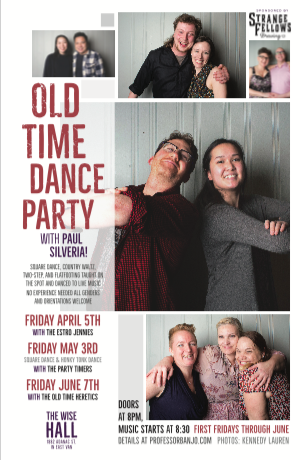 First, a beginner-friendly square dance, followed by a Honky-Tonk two-stepping set from 10:30 to 11:30. Paul teaches and calls the moves right on the floor. All music provided by the Party Timers!